For many international observers, the Japanese economy is an enigma. On the face of it, the economy has been in bad shape ever since the Japanese stock market began to crash in late 1989, almost 30 years ago. Yet as you wander around Japan, both in Tokyo and across the country, it hardly seems a nation in crisis. There are signs of a sluggish economy in places, it's true. But across a wide range of non-economic indicators, the nation is in good shape. The country is internally peaceful. It is harmonious. The degree of civility is remarkable. Standards of living are high. And much of the infrastructure of the country is stunningly good. If the economy is in a mess, the country seems to be coping remarkably well. A key to understanding the enigma is to look at recent developments in the context of long-term changes. During the 1980s, the Japanese economy was growing rapidly. Watching these trends, the US foreign policy establishment worked itself up into quite a state about the emerging challenge to US dominance. Earlier, in the late 1970s, a team from the Brookings Institution produced an influential study about 'Asia's New Giant'. Around the same time, there was a spate of alarmist books produced in the US about the way that Japan threatened to bypass America, both in Asia and across the World. Ezra Vogel's Japan as Number One attracted much attention. Trump need not have worried. He should have had more faith in the market. A speculative bubble had taken hold in Japan in the late 1980s and the financial boom got out of hand. The Japanese stock market (the Nikkei index) peaked at almost 39,000 at the end of 1989. It then entered into a grim decline. It halved to around 20,000 in the early 1990s. After seeming to stabilise for a while, it halved again during the next decade, widely referred to as a 'Lost Decade'. Finally, by early 2003, the Nikkei had fallen to below 8,000. The index subsequently slowly recovered and has now reached 19,000, roughly half the level it peaked at in 1989. The hesitant recovery has taken a long time. A review of the elements of the dramatic financial crash and the agonising recovery is helpful in understanding the subsequent financial crashes both in Asia in 1997-98 and in the global financial crisis in 2007-2008. At the time of the crash in Japan in the early 1990s, many international observers were inclined to dismiss the problems as reflecting issues unique to Japan. And once again, later in the decade when financial markets crashed in in 1997-98 in Southeast Asia and Korea in the Asian financial crisis, numerous commentators pointed to weaknesses in Asian markets as the main cause of the problems. Financial markets in the US and Europe, they argued, were much more robust. It was unthinkable that widespread failures could occur in markets in advanced Western countries. They were wrong. One key lesson from all of these financial crashes is that finance matters! This might seem obvious now. However, until the traumatic events of the global financial crisis of 2007-2008 in advanced countries, many Western economists were inclined to think of fluctuations in financial markets as having only limited effects on the rest of the economy. A second main lesson from both the Japanese financial crash and the Asian financial crisis is that the recovery after a financial crash might be slow. Even now, a decade after the 2007-2008 crisis in the US and Europe, productivity growth is remarkably sluggish in many industrial countries. The most recent major turning point in Japan in efforts to stimulate the economy was in late 2012. 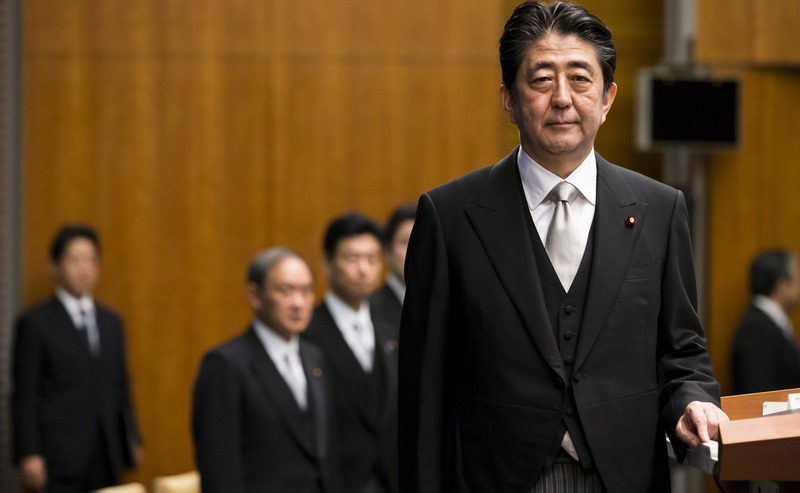 When Prime Minister Shinzo Abe won re-election in late 2012, he announced a package of economic reforms that was promptly dubbed 'Abenomics'. The Economist described the package as consisting of a 'mix of reflation, government spending, and a growth strategy designed to jolt the economy out of suspended animation that has gripped it for more than two decades'. Abe described the (disarmingly simple) new approach as having three 'arrows': monetary stimulus; fiscal easing; and structural reforms. As it has turned out, the first two of these arrows have been easier to implement than the third. Within several weeks of re-election, Abe announced a fiscal stimulus of around ‎¥10 trillion (roughly US$100 billion). Like many economic announcements of this kind, the precise impact that the new policy would have was uncertain. However, the new approach at least encouraged the cautious hope that there would be a serious attempt to tackle some of Japan's main economic problems. To implement a stimulatory monetary policy, in early 2013 Abe appointed a new Governor to the Bank of Japan (BOJ), Haruhiko Kuroda. Kuroda, who had been President of the Asian Development Bank in Manila since 2005, was a strong and confident policymaker with many years of experience in economic management. He was expected to introduce an expansionary monetary policy. He soon did so. Shortly after Kuroda's appointment, the BOJ announced a new quantitative and qualitative easing (QQE) program. Under the QQE approach, the BOJ would buy between ¥60-70 trillion of bonds (between US$600-700 billion) per annum. The following year, in October 2014, a further expansion of the bond-purchasing program was announced. Since then, Kuroda has pursued a whatever-it-takes approach to monetary policy, with the aim of overcoming deflation and helping stimulate a recovery. The third arrow, structural reform, has been harder to implement. The main structural reform measures needed are seen to include steps to strengthen productivity, boost investment, and introduce labour market reforms. Many observers argue that Japanese labour markets are too rigid and that changes to boost labour supply are needed. Steps in this direction might include, for example, boosting female and older labour market participation as well as encouraging the use of more foreign labour. But, amid strong resistance, Abe has found it hard to promote these reforms. Overall, the indications are that Abenomics has helped nudge the Japanese economy towards a stronger growth path. An IMF report released on 12 July concluded that 'Abenomics has improved economic conditions and engendered structural reforms', though the approach 'has not yet achieved a durable exit from deflation'. Average economic growth in recent years has been around 1% per annum -- hardly robust, but at least supporting some expansion. As Greg Earl noted recently, Japan is now close to 'producing its longest run of economic growth this century'. But major problems remain. Choices for fiscal policy look very difficult. The level of public debt in Japan is extremely high, with the IMF saying it is 'unsustainable' under current policies. Further, growth objectives remain elusive. It seems difficult for the Japanese economy to grow at much above 1% per annum. And in the longer term, the Japanese population is expected to decline markedly over the next few decades. There is much concern about the implications of ageing for Japanese society.